Along the north border of the back field is a long row of what looks like an overgrown weed gone wild. It is as high as my shoulder in parts and looks like it would be a nasty mess to get tangled up in. On a farm with so many pretty things growing, this isn’t one of them. And yet, this is one the things that I am most excited about every year. Any guesses? Take a closer look. Underneath all of that mess are asparagus stalks. Right now the asparagus is in the fern stage, although fern sounds prettier than it looks. 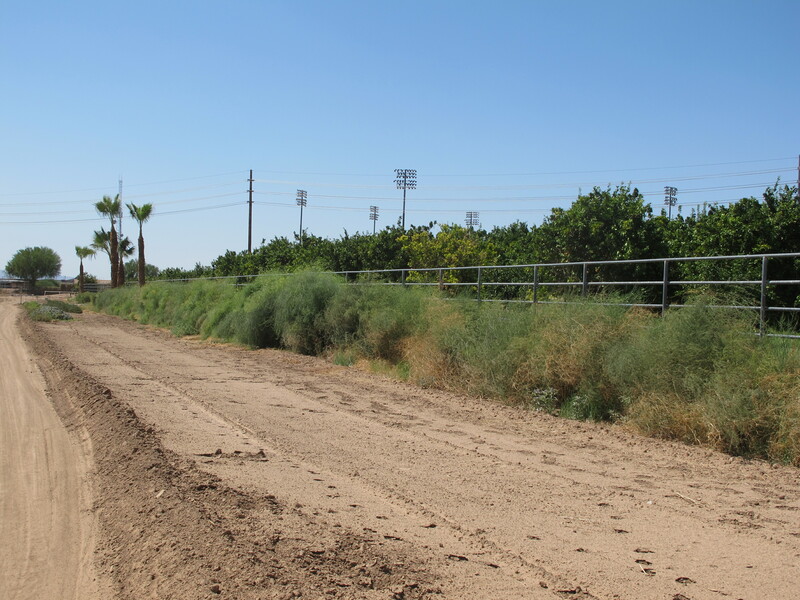 We planted our asparagus from organic crowns (roots) that originated from California three years ago. During the first year, these crowns were allowed to create large ferns that supported their root system throughout the first season. 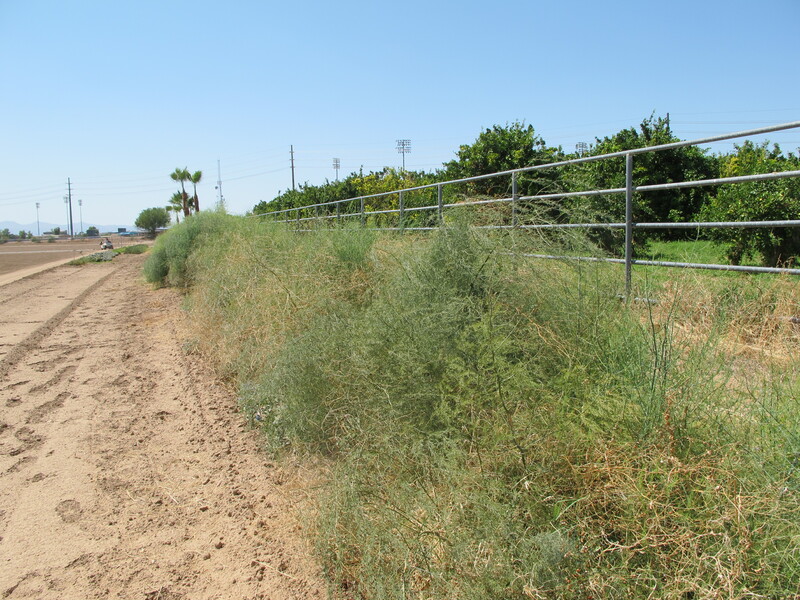 In the second season, only about 50% of the asparagus was harvested, to allow for the asparagus spears to rest and continue building up their root system. But in January 2011, we were able to harvest 100%. If you were at the markets last year you know how much we were able to get. It felt never ending. Asparagus stays in this fern state throughout the summer and fall until the first freeze of the year, typically in the middle of December. The ferns then cease growing and goes dormant. After a few more freezes, usually into the middle of January, we mow all of the top fern growth that has gone dormant and yellowed down to about two inches in height. 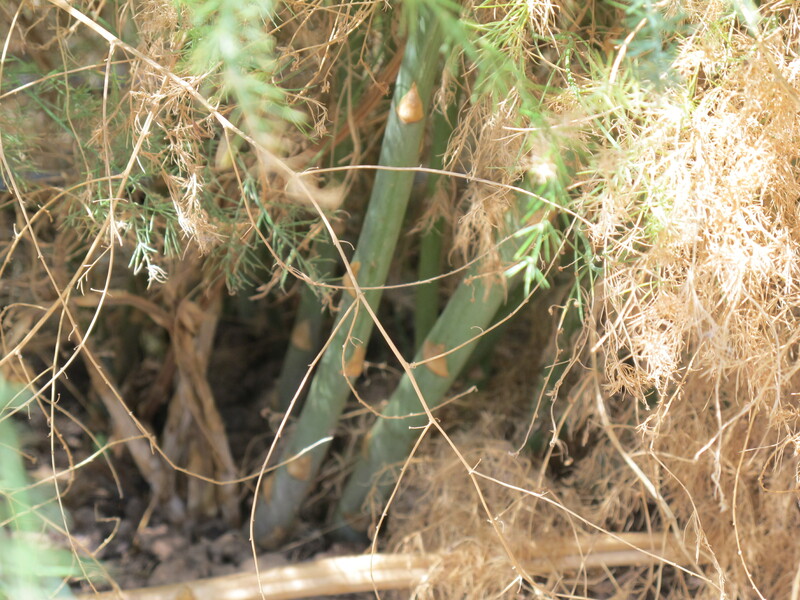 Right now the extensive asparagus root system starts putting up asparagus shoots which are harvested before they grow fully into this fern stage again. We harvest the asparagus over a two month period. Then the plant is allowed to return to the fern stage so that it may nourish and replenish its root system once again. 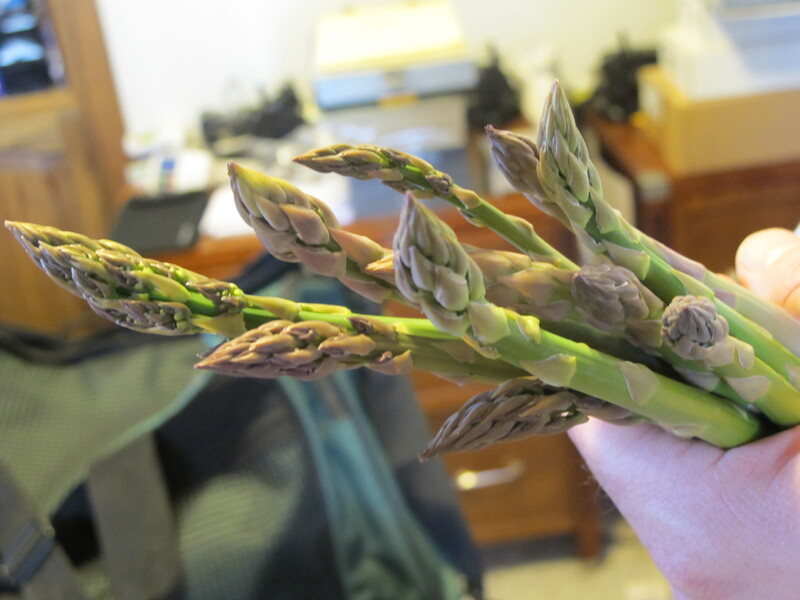 The great thing about asparagus is that it doesn’t require much attention, and it will continue to flourish and produce for the next 25-30 years. So, even though I eat more than my fair share when it is in season, there will be plenty. Thankfully it looks so much prettier on your plate than in the field! P.S. I know I have said it before on the blog, but it is worth repeating. There is so much you can do with fresh asparagus, but my favorite way to eat it is to boil a little water and Queen Creek Mexican Lime Olive Oil in a pan and cook it for a minute or two. That and a little sea salt and you are good to go! Ah hah. One of the neighbors is cultivating asparagus. 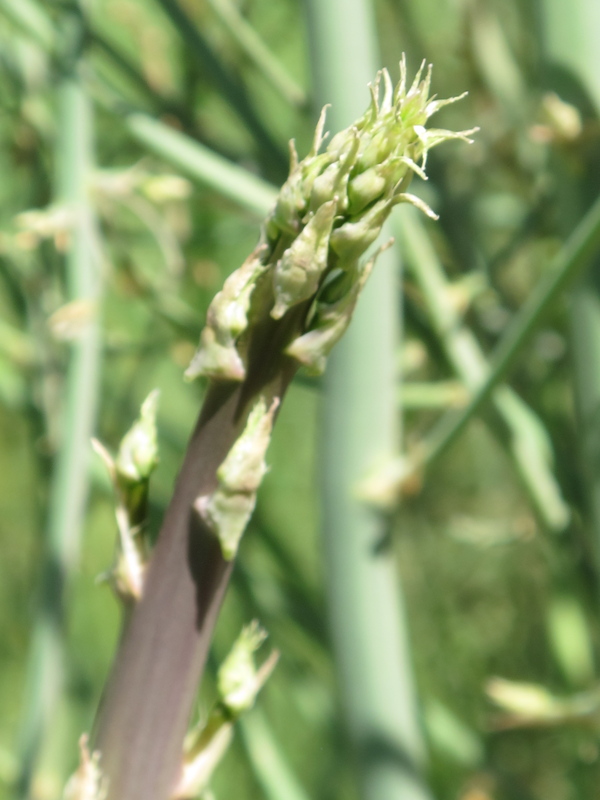 I wondered what it was..
Best tasting ‘weeds gone wild’ I have ever had…McClendon asparagus.